One of the many reasons that I fell in love with teaching middle school math is that the material is super relevant. Students are learning skills that will stick with them for years to come. 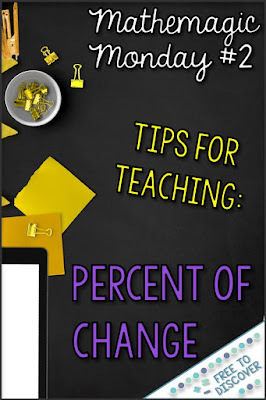 One of my favorite topics to teach is percent of change, specifically tax and discount. This post is a continuation of the Mathemagic Mondays series (one day late). 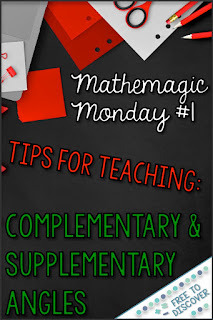 A series of posts that shares shortcuts and hints that make math magical! Click to catch up on the original post. 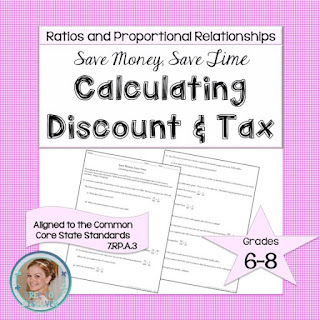 1) I begin with proportions since we review tax and discount right after proportion solving. This helps students to see a meaningful connection to a recent skill. 2) Compare and contrast strategies involving proportions and decimals. Let students use a calculator. 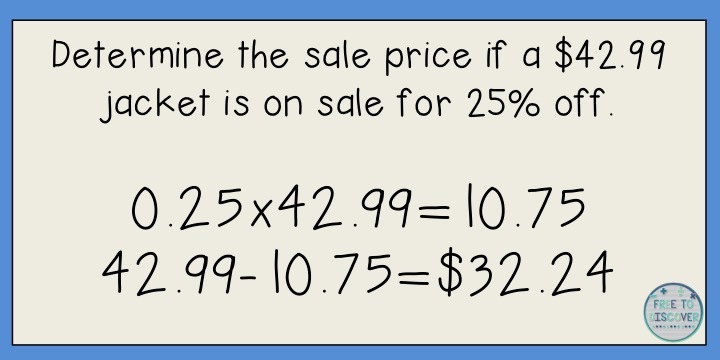 Unless your students really need practice with decimals operations, they will be demonstrating their understanding if they can set up the problem, then use the calculator to help with arithmetic. 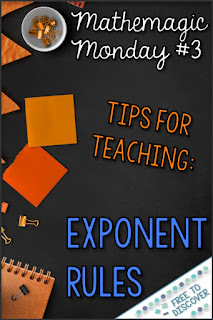 4) Continue to practice this skill throughout the year on Problem of the Days, exit tickets, and/or homework. This is an important one to drill in, and practice makes permanent! To help students build meaning, I use this discovery worksheet, which you can pick up for free in my store. Of course, there’s more than just tax and discount when discussing percent of change. 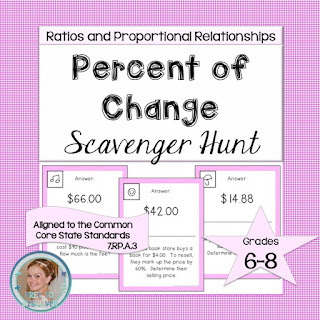 This scavenger hunt is a teacher and student favorite!